For craftsmen, the router is probably the most versatile power tool there is. 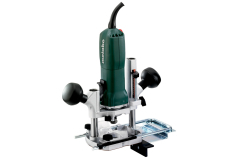 All the more important are the quality and reliability of the tools: With the handy and powerful router from Metabo you can cut grooves, chamfer, profile, rebate, drill and mill in a precise and powerful manner. No matter if you use the router for cutting accurate grooves or rebates for stable connections, process wooden edges, cut profiles in furniture or use for free-hand milling: With the routers from Metabo you are ideally equipped for any application. The Vario-Tacho-Constamatic (VTC) electronics of the Of E 1229 Signal router from Metabo always ensures for speeds adapted to the material and application. 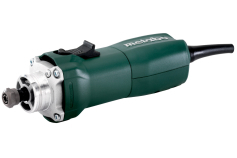 Using the thumbwheel, you can set an idle speed between 5,000 and 25,500 rpm. The router also permits fine setting of the cutting depth down to 0.1 mm in accuracy. Using the three-stage stop you can preselect up to three different cutting depths. 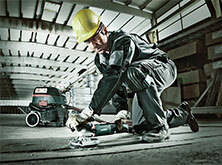 1,200 watt rated input power and the advantages of the Vario-Tacho-Constamatic offer highest technical comfort. Electronic monitoring of the coil temperature warns in case of overload of the router. 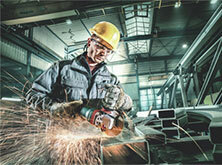 The integrated tacho generator keeps the speed constant even under load. The router ensures even in difficult conditions and very low speed settings that the speed remains constant. 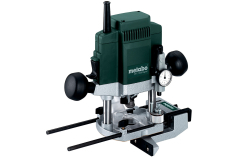 Matching the routers, Metabo offers an extensive range of accessories - from collets, high-quality cutters and guides to mitre fences, template followers and flexible shafts.